Brian3737 Wow, I slept on this one for far too long. This is excellent music. The album is intense, melodic, complex, and stylistically more varied than I would have thought. This is a great vocal record as well, with male and female cleans mixed into the harsher blackened vocals. Favorite track: Across the Nival Grove. H.L. 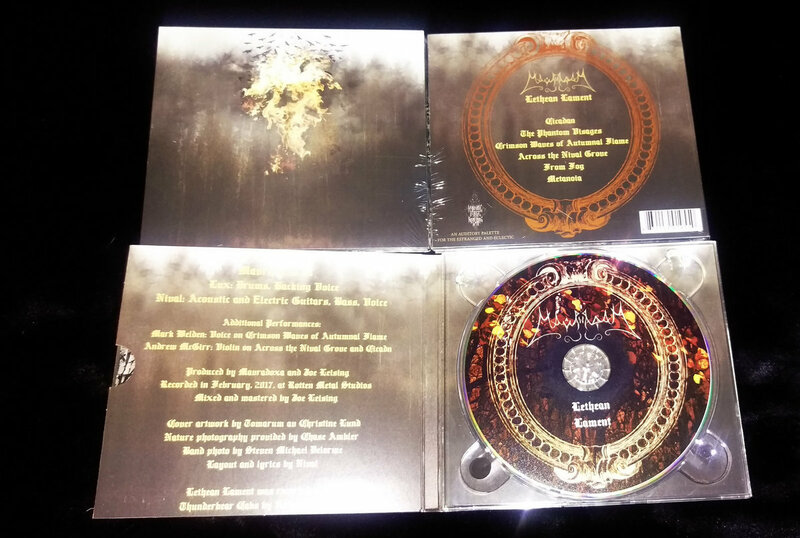 This is sophisticated extreme metal for the demanding listener. 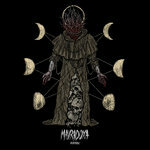 You will feel nothing, if you misuse MAVRADOXA's modern black metal as simple background music, as the long songs are too complex, too progressive, too mature in songwriting. But they unfold their full beauty, when you carefully listen to them. 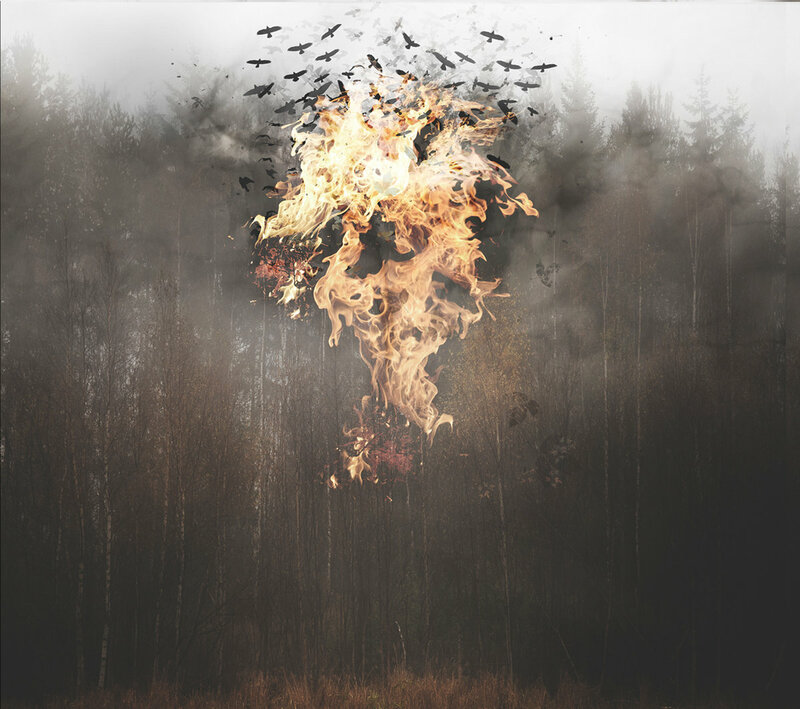 Be attentive for the restrained changes of moods, from aggression to melancholy, enjoy the moanful guitars and the harsh vocals. 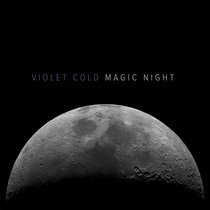 Favorite track: The Phantom Visages. Katimavik86 A rush of grand, swirling visions with a rough and abrasive edge. Recommended. Favorite track: Crimson Waves of Autumnal Flame. -Mavradoxa Sticker - 11cm x 7cm - all-weather, and superdurable. Will last for years. 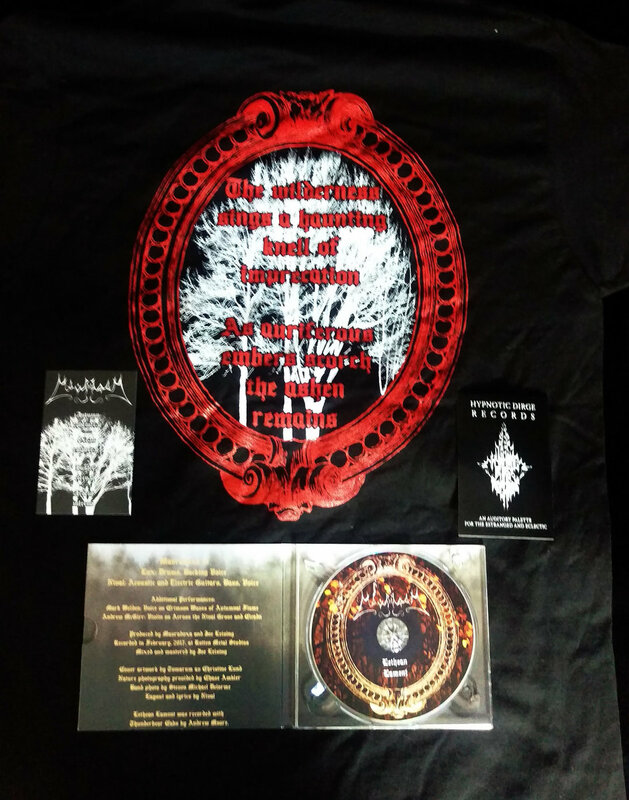 Includes unlimited streaming of Lethean Lament via the free Bandcamp app, plus high-quality download in MP3, FLAC and more. 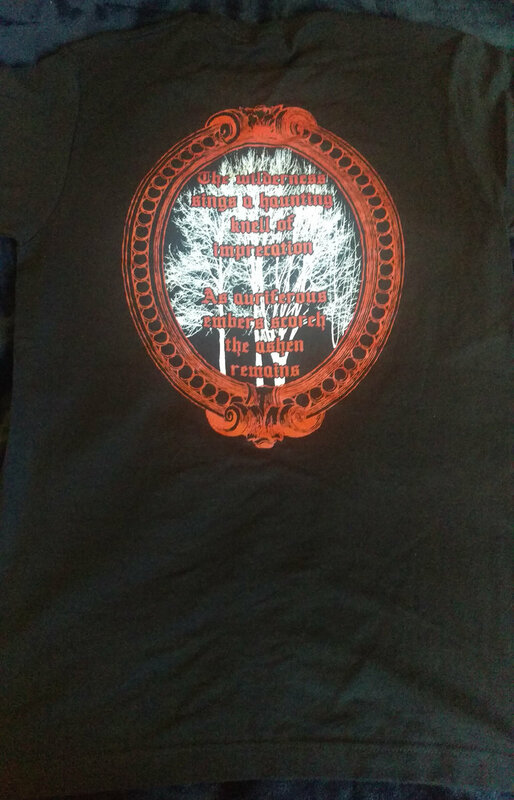 Official shirt for the release of "Lethean Lament"
Front and Back design, printed on "Tultex" shirts. 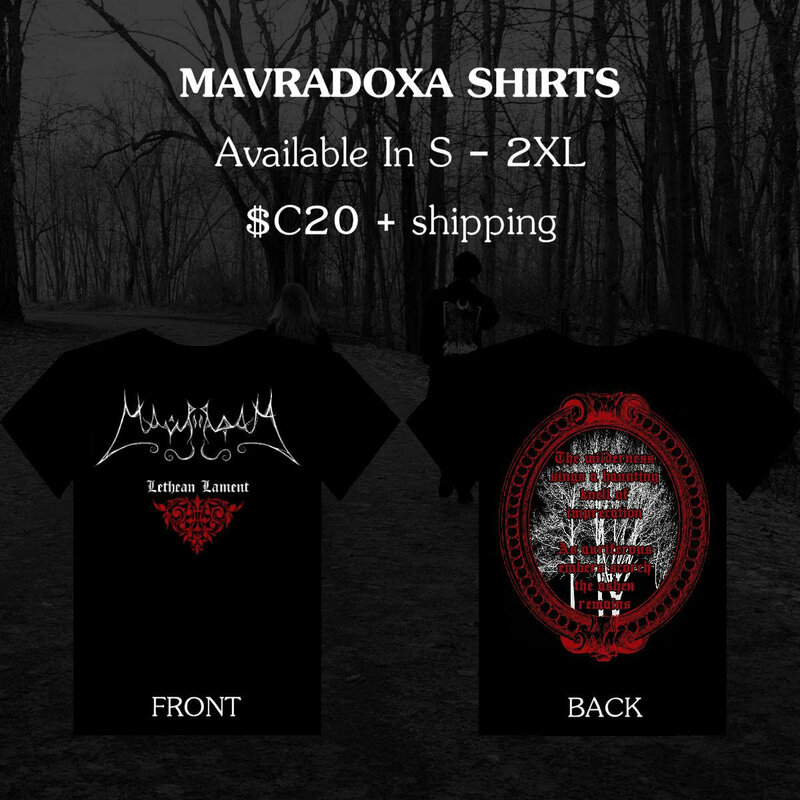 Laurentian Black Metal band Mavradoxa returns with their second album “Lethean Lament” - an introspective and majestic album that is expansive, atmospheric, and melancholic. 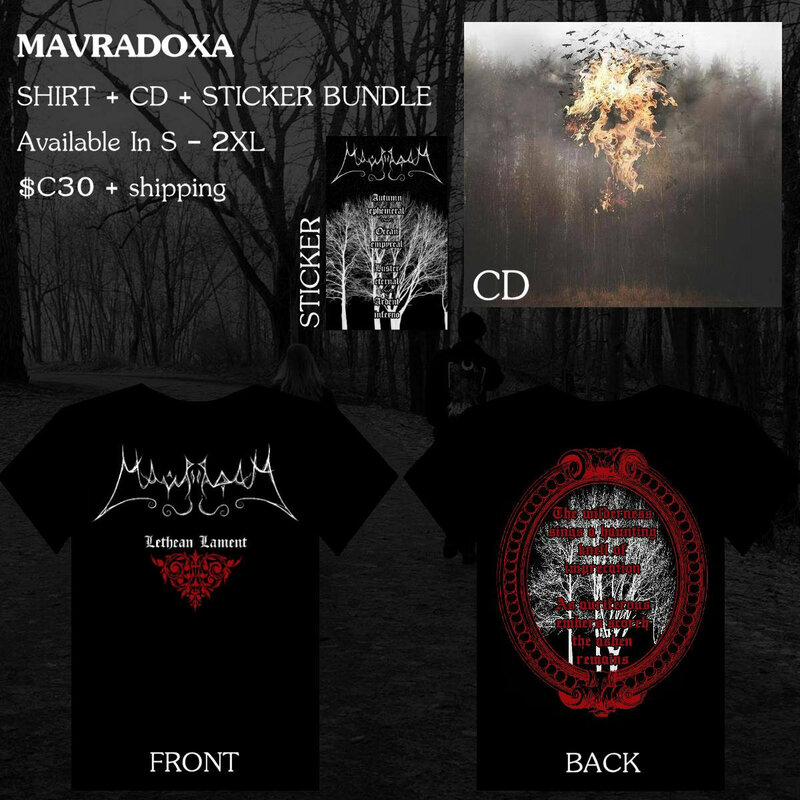 Releasing “Sojourners” last September, Mavradoxa’s two members Nival and Lux have quickly returned to Rotten Metal Recording Studio to record their follow-up “Lethean Lament.” The new album is perfect for dreary and rain-soaked days during solitary walks, or in any moment of introspection. 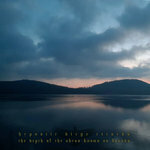 Long progressive songs that flow with purpose where the atmosphere dictates and paints vivid stories in its movement and direction, the entire album encapsulates a whirlwind of emotion from raw carnal aggression, nature reverence, despair, longing, and bliss. 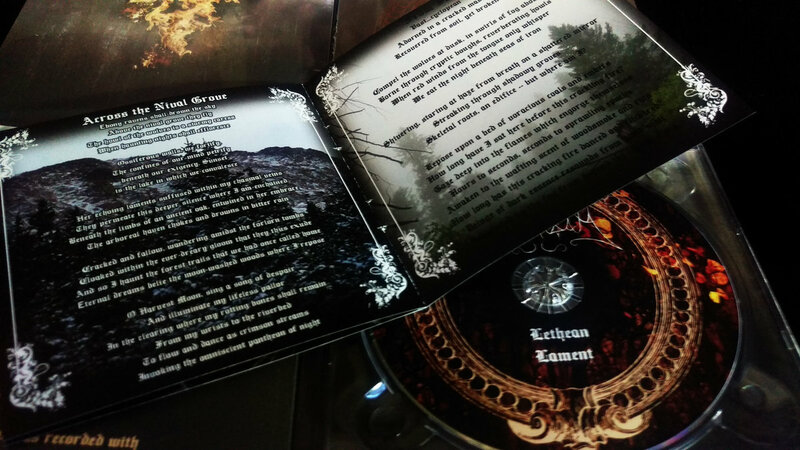 “Lethean Lament” is honest genuine atmospheric Black Metal that carries on the tradition of bands like Agalloch, Alda, Waldgeflüster, Falls of Rauros, and Obsidian Tongue. 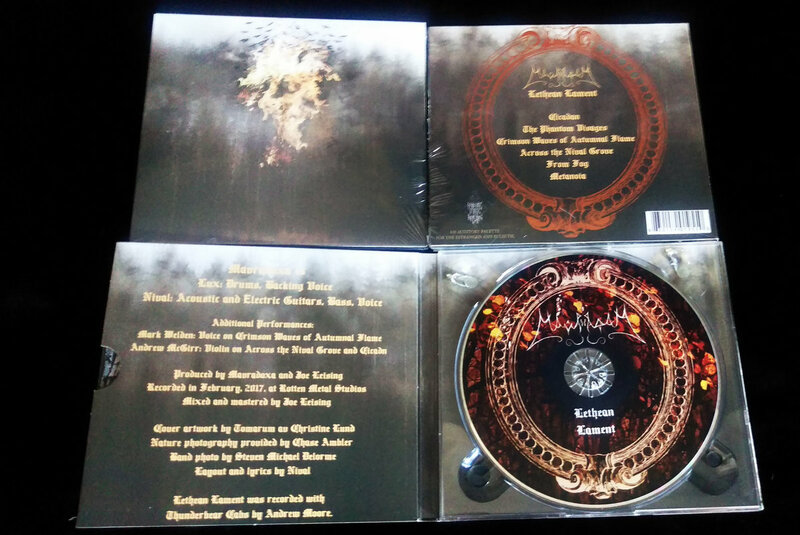 Recorded in the spring of 2017, this album is set for release on June 22 through Hypnotic Dirge in a 4 panel digipack with a booklet. 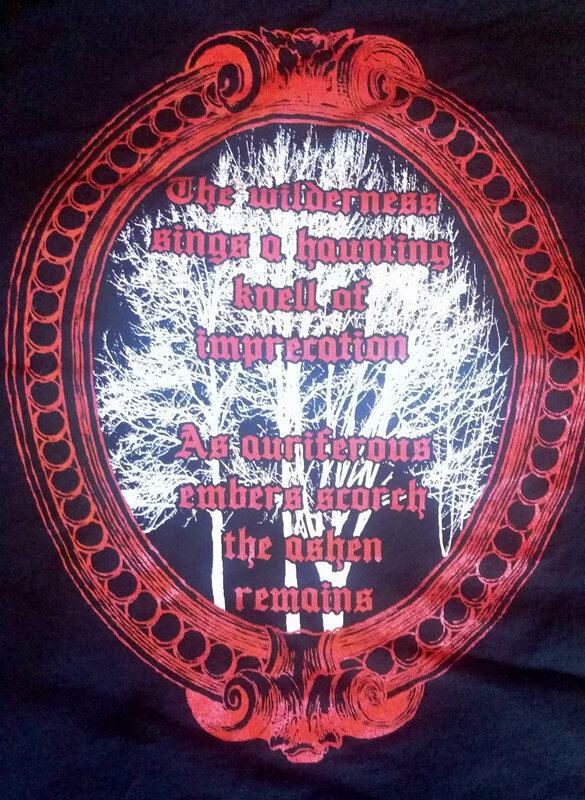 Andy McGirr (Hubris, Ferus Din) contributed violins on the tracks “Cicadan” and “Across the Nival Grove” and Mark Welden (Blurring, ex-Warblade) added guest vocals to “Crimson Waves of Autumnal Flame”. 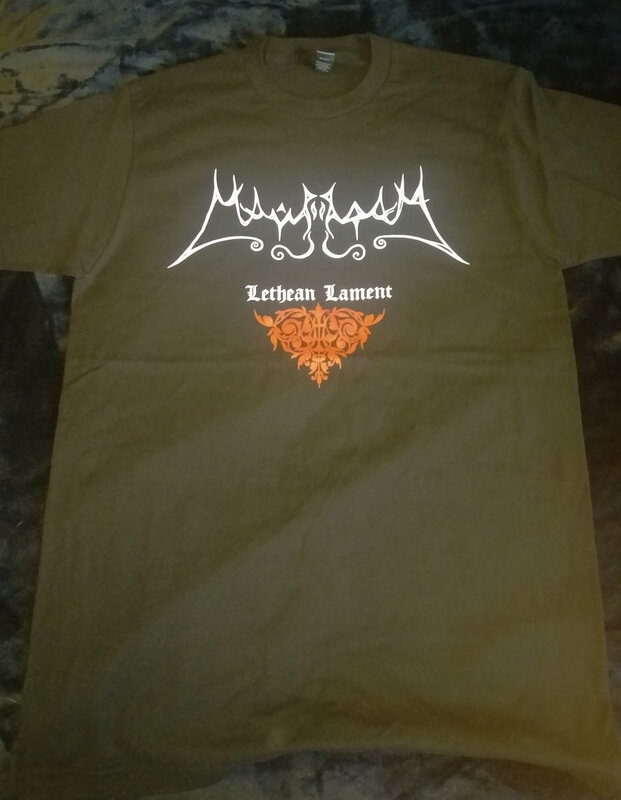 Le groupe de black metal laurentien Mavradoxa est de retour avec leur second album « Lethean Lament » - un album à la fois introspectif et majestueux qui évoque de vastes paysages ambiants et mélancoliques. 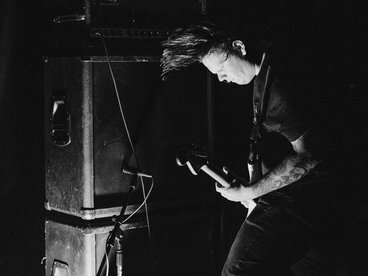 Pour faire suite à leur album « Sojourners » paru en septembre dernier, Nival et Lux, les deux membres de Mavradoxa, sont rapidement retournés au studio Rotten Metal pour enregistrer leur second opus, « Lethean Lament ». 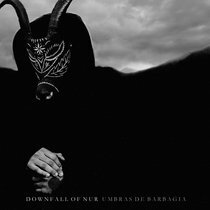 Ce nouvel album est empreint d'une atmosphère morne et pluvieuse et accompagnera le marcheur solitaire ou mènera à l'introspection. On y trouve de longues pièces progressives qui coulent naturellement, au fil de l'ambiance, décrivant à travers leurs changements de direction des mouvements traduisant des histoires vibrantes. En somme, l'album dans son entièreté décrit la trajectoire d'un tourbillon d'émotions allant d'une agression crue et charnelle à une révérence envers la nature, en passant par la détresse, la nostalgie et la félicité. 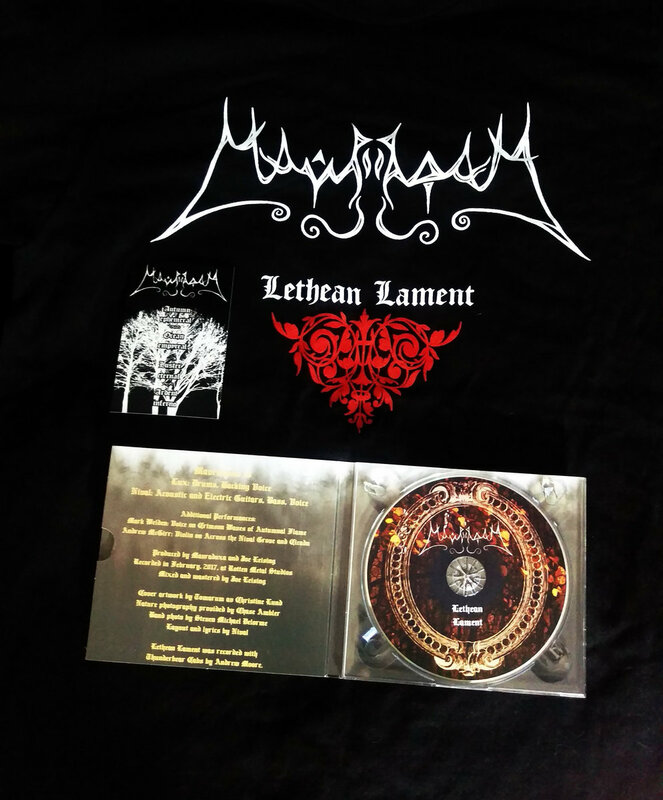 « Lethean Lament » est une œuvre de black metal ambiant à la fois honnête et originale qui s'inscrit dans la tradition établie par les groupes Agalloch, Alda, Waldgeflüster, Falls of Rauros et Obsidian Tongue. 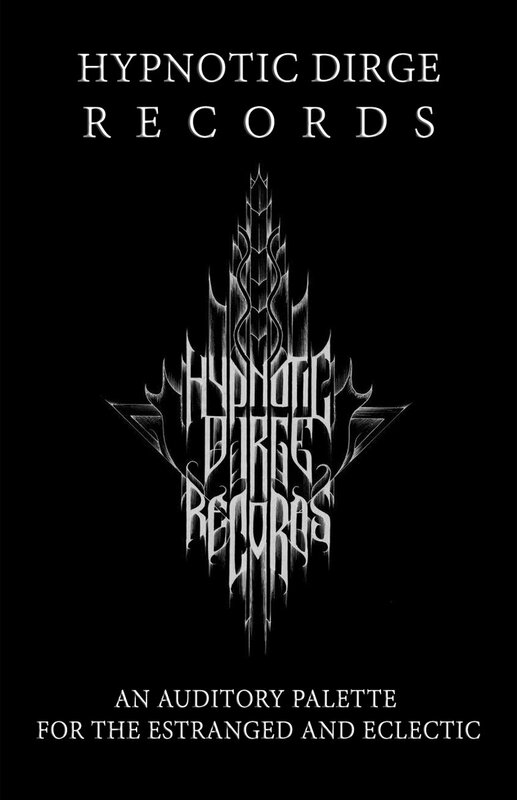 Enregistré au printemps 2017, la sortie de « Lethean Lament » est prévue le 22 juin chez Hypnotic Dirge dans un format digipack de 4 panneaux accompagné d'un livret. 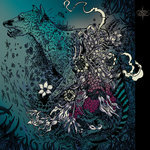 Andy McGirr (Hubris, Ferus Din) participe au violon sur les pièces « Cicadan » et « Across the Nival Grove », et Mark Welden (Blurring, ex-Warblade) a ajouté sa voix à « Crimson Waves of Autumnal Flame ». 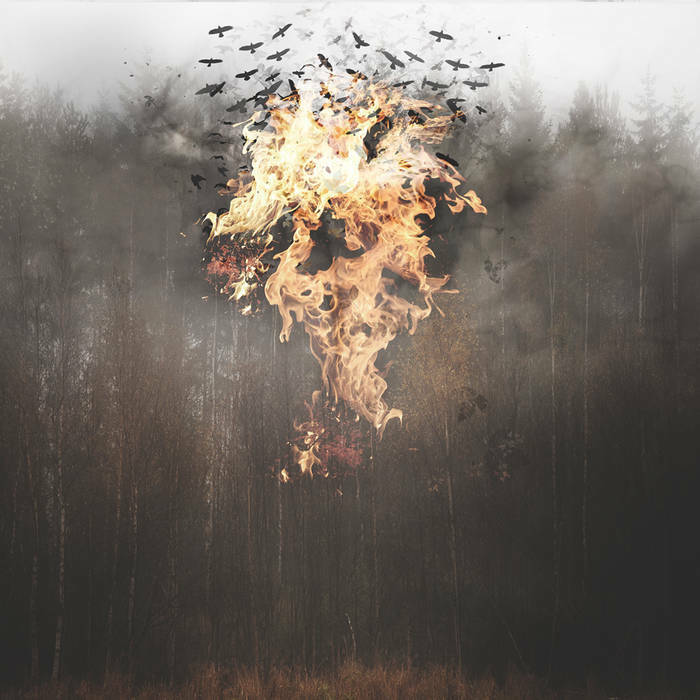 "Lethean Lament is a remarkable listen, one that should help soothe the ache of those still mourning the departure of Agalloch and satisfy the more patient fans of the genre, along with a few reptile-brained headbangers, too." 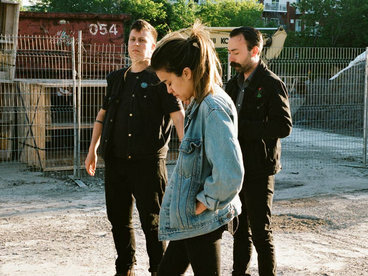 " Each song is a musical journey through a wondrous landscape that the band creates with their lyrics and music. You really have to take your time to listen to this one to appreciate it but when you do, it will become a part of you, refusing to let you go from its beautifully complex clutches. 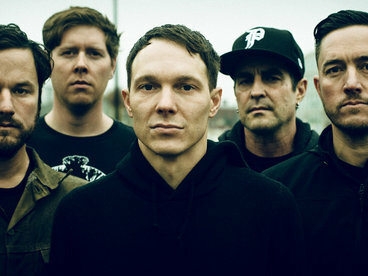 This album will definitely show up on year end lists throughout the heavy metal world." "The music here connects to something primal and lesser-seen in music. 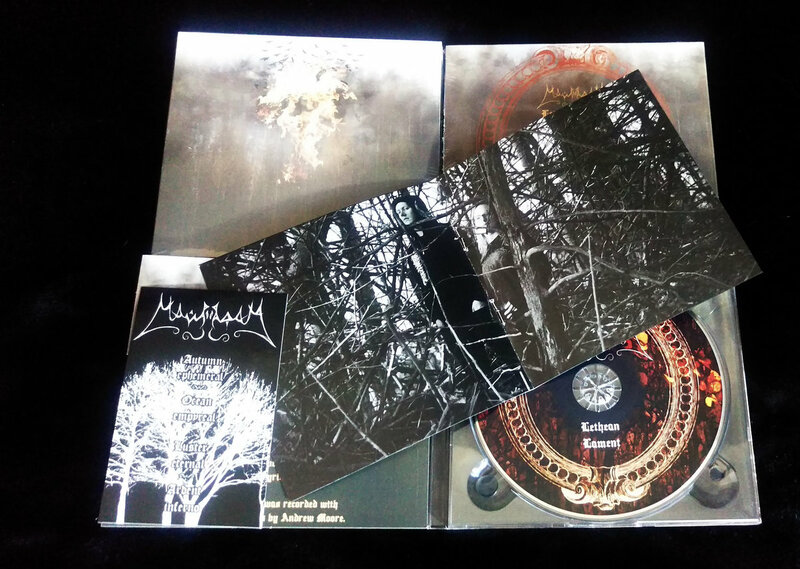 It transports back to the early days of black metal’s exploration, while still managing to sound both contemporary and essentially timeless. 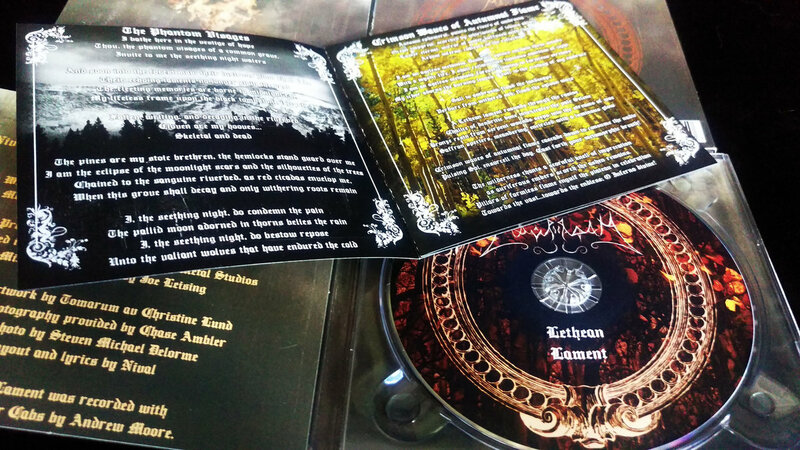 Lethean Lament is a huge achievement, and I can’t recommend it highly enough." 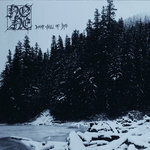 "I suspect I'll very likely put this band in heavy rotation alongside my favorites from Falls of Rauros and Alcest, and that's pretty high praise from me. " Andy McGirr - Violin on tracks 1 and 4. Mark Welden - Guest Vocals on track 3.